Light’s Out is the first film from David F. Sandberg, who after this, went on to direct Annabelle: Creation (2017). This story, based on Mr. Sandberg’s film short in 2013 (watch below) proved a hit although the reviews for the feature film are rather scattered. Being the first feature film from David Sandberg, I’d like to start the review by applauding him. While I personally thought some of the acting was on the weak side, each actor had their strong moments. Additionally there were many more strong acting moments than weak ones. The only other negative is at the story could have been added on to, although the duration of the film makes it easier to keep the tension. Still, at a mere 1 hr and 21 minutes, something closer to the 2-hr mark would be nice. The scares were steady, even starting off the film – which you don’t often see. They were mainly of the “shock” variety and came quite unexpectedly at times (as one would hope from a horror film). The director had several hurdles (it appears to me) while making this film. The obvious one is that for the possessed spirit to endanger any of the characters, he had to manufacture ways of keeping them in the dark (i.e. flashlights going out, candles flickering, etc.). As someone who thinks that true horror films should all be R-rated (with only a few exceptions), he had another obstacle in that he kept it PG-13 – keeping gore and violence to a tolerable level per the studio’s guidelines. This is almost always a mistake. In this movie, it would have helped, but not to a great extent, in my opinion. The one thing that I think they did exceptionally well was that the characters reacted rather realistically to the situations presented… for example, something scares you, get a weapon… lights go out, check the fuse box, et cetera. Online user reviews are always quite harsh – especially when it comes to horror. People have widely different tastes and, as such, many get scared/shocked/grossed out differently. 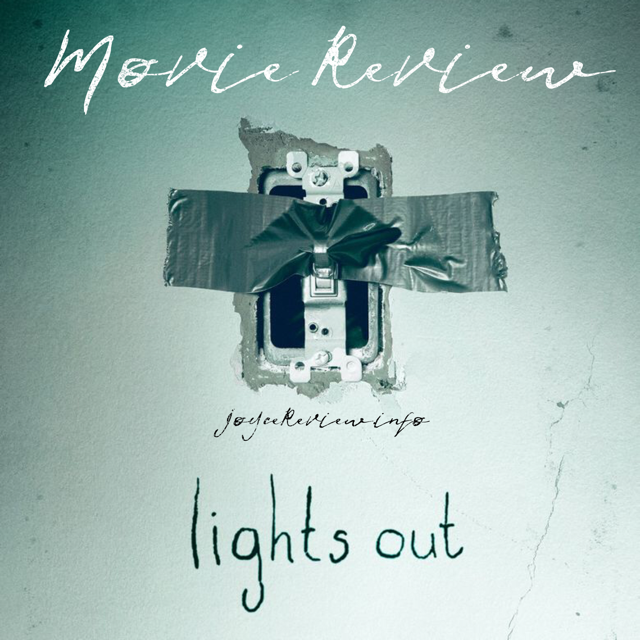 Though purists will likely scoff at Lights Out, it is definitely a movie to give a try. I think it’ll surprise most. Did you see it? What were you impressions of the film? Be sure to follow me on Instagram at @chencenter. Every third posted picture will be a new movie review! And be sure to comment. We’d love to hear your take on the movie OR on the review.